Castlevania: Lords of Shadow is a game that was well received critically, but received a somewhat more mixed reception from gamers. This isn't that surprising, considering the game did a lot of things that were bound to upset fans of the series, including retconning the story, being 3D, being level based, etc. That said, the game was still excellent in a lot of ways. The game's environments were all very well crafted, and showed a lot of imagination. The soundtrack was quite epic, but never got in the way. The story was a pretty interesting re-imagining of the origins of Dracula and the Belmont clan. It's a game with a lot of meat to it, and unsurprisingly, a lot of evil creatures to kill. That's where this post comes in. Today I will be taking a look at what the game's combat did right, and where it could be improved. So to kick things off, what exactly is the combat like? Well on the surface it looks and feels a lot like God of War. Gabriel Belmont uses his trusty Combat Cross to whip at things from a distance, make combos, send enemies skyward, grab enemies for dramatic finishers, etc. 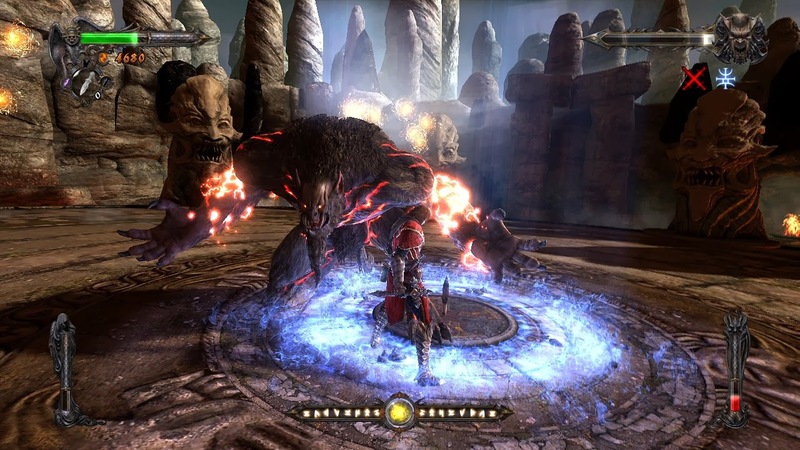 On it's own it's a decent imitation of God of War, but things start getting interesting as you progress in the game and obtain the light and shadow magic. These powers each come with their own magic bar, and can be toggled on at any time to add special effects to your normal attacks, and enable the use of some special abilities. Light magic causes your attacks to heal you, while shadow magic does extra damage to your enemies. These attacks drain your magic, and the main way to restore it is using the game's focus system. As you attack enemies focus is gained, with bigger combos generating it faster. Inactivity will slowly drain focus, while getting hit will reset it entirely. While in a fully focused state, any time an enemy is attacked they will generate magic orbs which can later be absorbed to fill your magic. The issues with Castlevania's combat can basically all be boiled down to, it's too easy to get hit. Enemies in Lords of Shadow tend to either appear in large numbers, or have very unpredictable / poorly telegraphed attacks, or some combination therein. Most fights consist of enemies dashing and slashing all over the place, and it gets very hard to react to everything going on. When a particularly nasty attack is incoming they are always telegraphed, but the window to react to it without getting hit is small. In fact the reaction window feels very similar in length to how long you are locked into an animation while attacking or rolling. It seems to me that the intention was that the player should block a lot of these attacks, but this is made needlessly hard by the game's controls. For some reason it was decided that the block button should be the same as the roll button. Holding the button blocks, pressing the button while holding the L-stick causes you to roll in that direction. The issue is that in combat you are constantly using the L-stick to move Gabriel, to direct where he should be attacking, whatever. So attempted blocks frequently instead cause you to roll into the attack you are trying to block. I honestly believe that if rolling had been assigned to the R-stick instead (which is not used for anything ever) a lot of the combat's issues would have been alleviated. But back to the issue at hand, getting hit is especially bad in Lords of Shadow. Sure, you lose some life, but the implications are much more than that. You basically have three resources in combat: health, focus, and magic. As I described earlier, you use focus to generate magic and you use magic to heal health. The issue is that getting hit drains all three resources simultaneously. Damage reduces health and resets your focus, while also necessitating that you expend magic to heal. In other words, even the smallest of hits can mess up your rhythm entirely. It's incredibly frustrating to constantly be low on magic because the odd stupid attack hits you. On the flip side of things, if you do manage to fill your focus you are typically given an absolutely absurd amount of magic orbs in a short period of time - quite possibly more than you know what to do with. In other words the punishment for being hit is too big, and so is the reward for not being hit. 100% of the rewards are at the top of the scale, and anything but perfect play results in starvation. With all that said however, I will say that there are merits to both extremes of this system. Low magic situations tend to feel very intense and scrappy - you are literally fighting for your life. If you can't keep your combo going, you won't be able to keep healing yourself. On the flip side, when you fill your focus the reward is pretty big and you feel unbeatable. However that said, I personally would have still preferred if the system had a bit more even of a gradient. For example, perhaps every attack should have a small chance to generate orbs once your focus is greater than 50%, with the chance and volume of orbs increasing as your focus approaches 100%. You still have low magic situations, but you at least get something if you're playing decently. You don't feel like you have to play perfectly to survive, but if you are playing really well the reward is still big. That's my thought anyways. It's fun trying to manage your resources, but you can't exactly manage resources if the game is starving you. In the end of the day, I think Castlevania: Lords of Shadow is still a very competent title. If it's combat was a little better, the game probably could have been great, though. 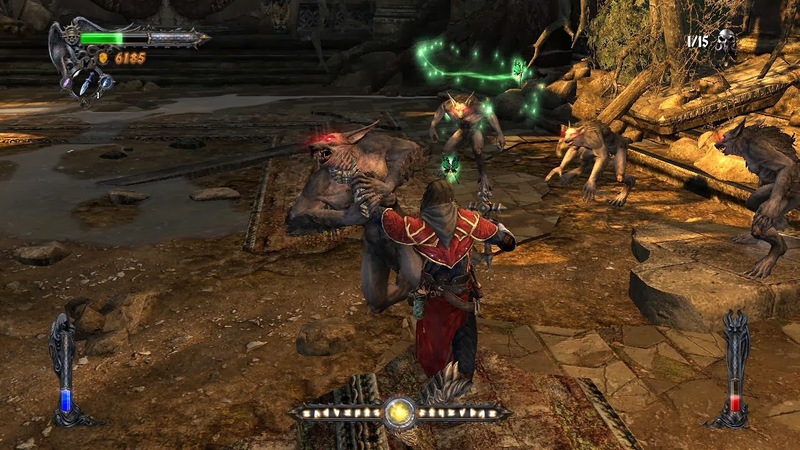 It will be very interesting to see what changes Lords of Shadow 2 makes when the game comes out in the end of February. If the demo is any indication it seems like the focus system has been forsaken entirely in favor of automatically regenerating magic. I wait with bated breath.